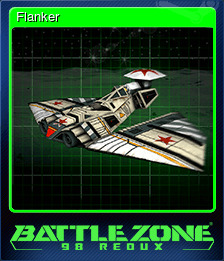 Battlezone 98 Redux | Steam | Opium Pulses - Cheap Prices, Great Service. One of the greatest sci-fi strategy games of all time returns Spring 2016 with remastered visuals, online multiplayer, and near unlimited mod content from Steam Workshop. Enter an alternate vision of the 1960s where the “space race” is nothing more than a cover for an interplanetary war between the US and Soviet Russia over mysterious alien bio-metal. 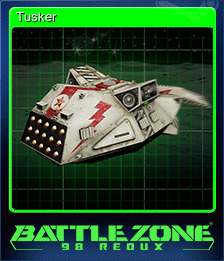 Take command of an army of sleek heavy assault tanks, strike cruisers, APCs and more, and wreak havoc with super-heated projectiles in your mission to blast your enemy from the face of the Moon, Mars, Venus, Titan, Io and Europa. 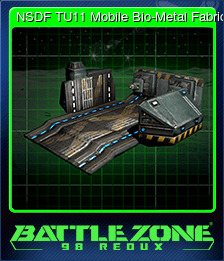 Scavenge the battlefields for crucial bio-metal, deploy powerful defenses, construct advanced facilities and escalate each battle to an epic confrontation. 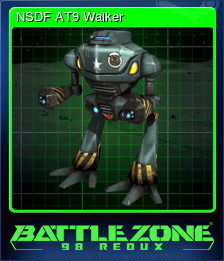 Revolutionary, revitalised and remastered, Battlezone 98 Redux’s blend of thrilling first person action and tense RTS gameplay is as essential now as it ever was. 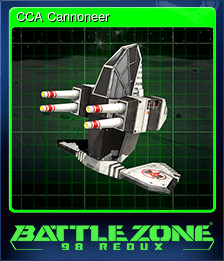 Command the battlefield and fight vehicle-to-vehicle from the immersive first person cockpit view. 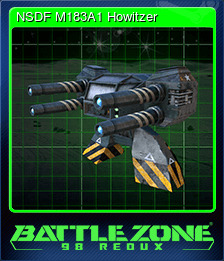 Unleash mechanized devastation with a huge tactical arsenal including Howitzers, MAG Cannons, Cold Fusion Lasers, Day Wrecker Artillery, and more. Customise and fortify your bases from the ground-up with production factories, power plants, barracks, armouries, command towers and deadly defensive turrets. Play as American or Soviet forces in two separate singleplayer campaigns, with 29 missions across 7 different planetary environments. 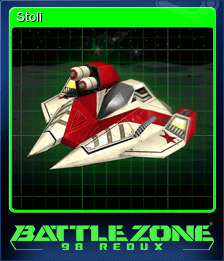 Play Battlezone 98 as it should have been, in HD with completely remodelled vehicles and buildings, enhanced lighting and shadows, improved particle effects, upgraded animations, upscaled terrain, and more. 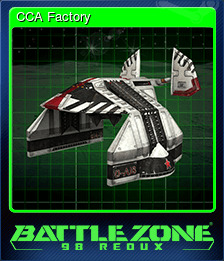 Experience the classic rush of "Deathmatch", or test your skills in a pulse-pounding battle of wits in "Strategy" mode. Tap into a community nearly two decades in the making, and enjoy near limitless new content with support for mods, such as new singleplayer and multiplayer maps, new vehicles, new HUDs, custom scripts and much more. Not a modder yet? Create your own custom multiplayer arenas with the in-built map editing tool. Graphics: Intel Iris 1536MB or equivalent. Complete the 4 Combat Exercises. Complete the Red Arrival mission on Medium difficulty. Complete the Eagle's Nest 1 mission on Medium difficulty. Complete The Relic Discovered mission on Medium difficulty. Complete the An Unexpected Connection mission on Medium difficulty. Complete the Escape from Mars mission on Medium difficulty. Complete the Behind Enemy Lines mission on Medium difficulty. Complete A Nasty Surprise mission on Medium difficulty. Complete the Wrangling the Fleeing Herd mission on Medium difficulty. 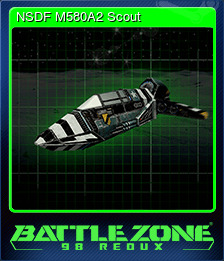 Complete The Race is On mission on Medium difficulty. Complete the Bring it Home mission on Medium difficulty. Complete the Flying Solo mission on Medium difficulty. Complete the Total Destruction mission on Medium difficulty. Complete The Three Beacons mission on Medium difficulty. 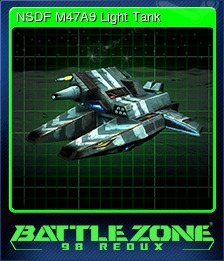 Complete the United We Fight - United We Die mission on Medium difficulty. 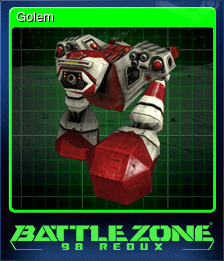 Complete The Golem Ambush mission on Medium difficulty. Complete the Strike at the Heart mission on Medium difficulty. 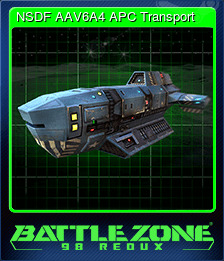 Complete the Tapping the Core mission on Medium difficulty. Complete the Precious Cargo mission on Medium difficulty. Complete The Evil Battalion mission on Medium difficulty. Complete the IO's Bridge mission on Medium difficulty. Complete the TRO mission Close Target Wrecky on Medium difficulty. Complete the Controlling the High Ground mission on Medium difficulty. Complete the Clear the Path mission on Medium difficulty. Complete The Ultimate Quake mission on Medium difficulty. Complete the Punishing the Black Dogs mission on Medium difficulty. Complete the Reclaim our Base mission on Medium difficulty. Complete the TRO mission Hidden Enemy on Medium difficulty. Complete the TRO mission Achilles Heel on Medium difficulty. Complete the TRO mission Spilt Milk on Medium difficulty. Complete the TRO mission Wolf in Sheep's Clothing on Medium difficulty. Complete the TRO mission New Kids on the Block on Medium difficulty. Complete the TRO mission Terra Incognita on Medium difficulty. Complete the TRO mission Hook, Line, and Sinker on Medium difficulty. Complete the TRO mission Blitzkrieg on Medium difficulty. Complete the TRO mission Protection on Medium difficulty. Complete the TRO mission Grand Theft Portal on Medium difficulty. Complete the TRO mission The Enemy Within on Medium difficulty. Complete the TRO mission Stranded on Medium difficulty. Complete the TRO mission Meanwhile, Back at the Ranch... on Medium difficulty. Complete the TRO mission Frustrate Their Knavish Tricks on Medium difficulty. Complete the TRO mission From Out of Nowhere on Medium difficulty. Complete the TRO mission Rescue Me on Medium difficulty. Complete the TRO mission The Best Laid Plans on Medium difficulty. Complete the TRO mission Lifeline on Medium difficulty. Complete the TRO mission Dire Straits on Medium difficulty. Complete the TRO mission Out There Somewhere on Medium difficulty. Complete the TRO mission Leave Home on Medium difficulty. Complete the TRO mission Light Up and Let Go on Medium difficulty. Apocalypse Hotel - The Post-Apocalyptic Hotel Simulator!